A well-balanced diet is appropriate for a person of any age. A healthy diet is especially important for children since a variety of food is needed for proper development. 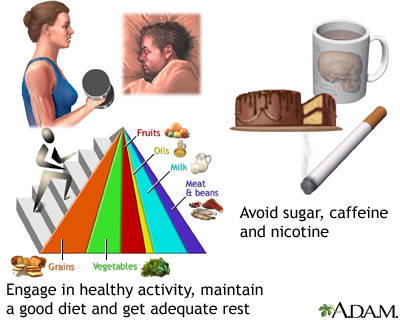 Other elements of good health include exercise, rest and avoidance of stimulants such as sugar and caffeine.